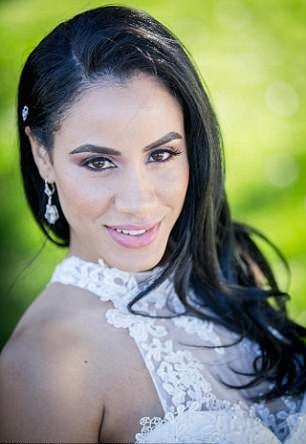 A Meghan Markle lookalike who recently married her own Prince Charming reckons her wedding gown was better than the Duchess of Sussex's. Danielle Harris, 33, bears such an extraordinary resemblance to the former Suits actress that she is mistaken for her at least four times a week. 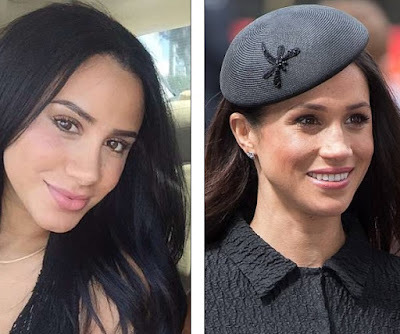 For starters, Danielle and her husband Wu Olsen, 38, pulled off their wedding with $50,000 — 0.001 per cent of Harry and Meghan's $45 million royal budget. 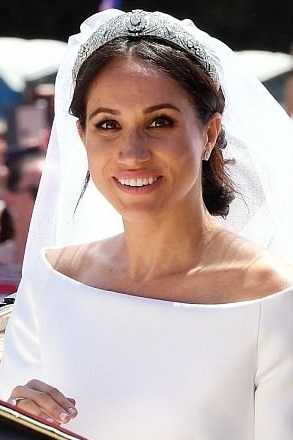 While Meghan donned a $500,000 Givenchy gown to walk down the aisle, nurse Danielle looked equally elegant in a high-necked lace dress that cost just $1,800. 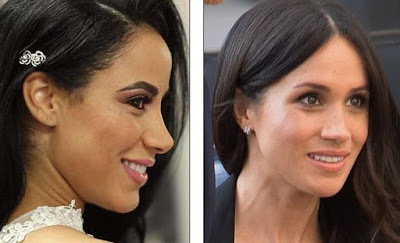 Both couples stuck to traditional vows, but Danielle and Wu's January 2017 wedding was a much more intimate affair with 115 guests compared to the royal couple's overwhelming list of 600 attendees. 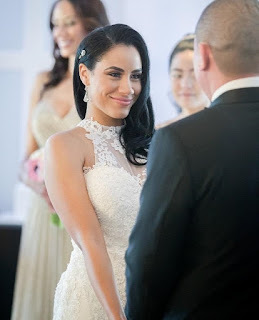 Danielle and Wu, who wed in the Clayton on the Park in Scottsdale, Arizona, said their wedding was a 'giant party' with guests dancing all night long to a local DJ.